Vijayakanthi, leader of Mayuri Crafts, supported by Kaviya. The European Union and Swedish aid organisation We Effect, today announced a 760,000 Euro (Rs. 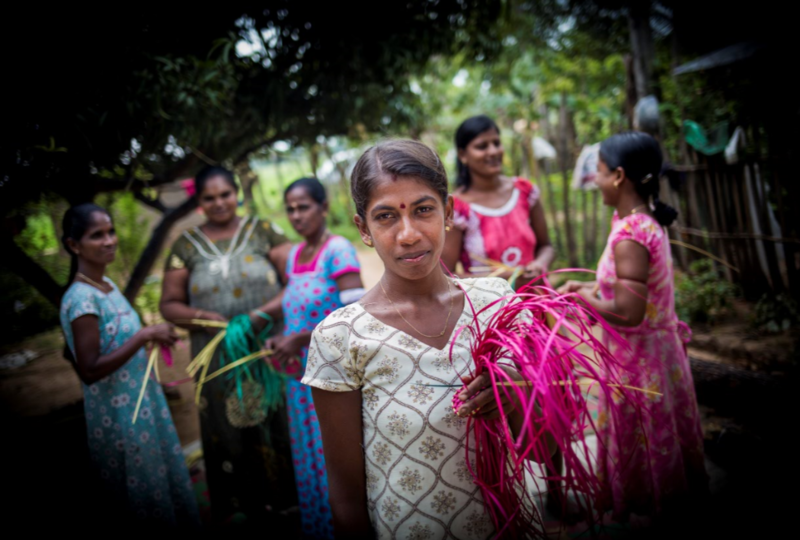 138,510,000) project to empower Sri Lankan women to become entrepreneurs and leaders. More than 11,000 people will benefit from the innovative initiative focusing on gender equality in 12 cooperatives. “The European Union firmly supports gender equality and the empowerment of women, working towards the removal of obstacles including legislation, social norms, and gender stereotypes to increase girls’ and women’s agency in social, economic, political and civil life. I hope this project makes a tangible contribution to improve the lives of the people it is looking to help”, says the Ambassador of the European Union to Sri Lanka and the Maldives H.E. Tung-Laï Margue. “Women were hit the hardest by the civil war, they are constantly at risk of violence and lack income and power. Using cooperatives as an avenue to fight poverty and inequality, we will empower women to rise out of poverty as entrepreneurs and leaders. Everybody will benefit from that”, says Subhashi Dissanayake, Country Director for We Effect in Sri Lanka. 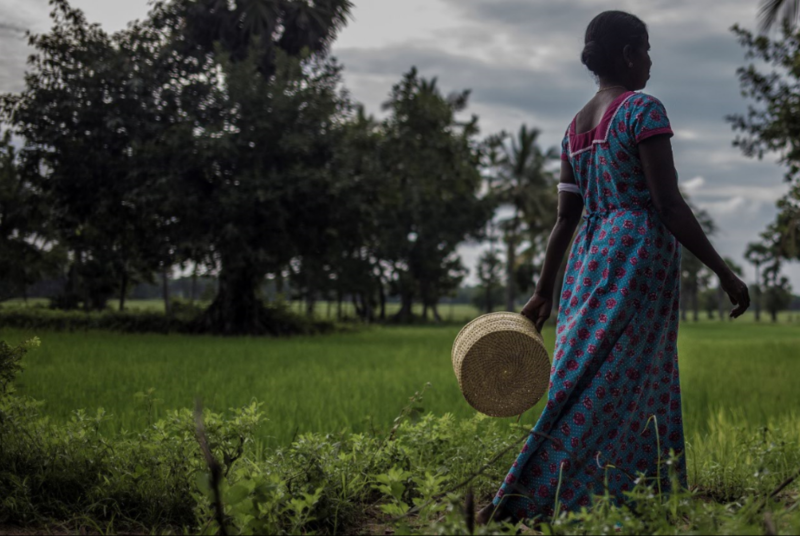 Poverty prevails among many war-affected communities in Sri Lanka. Women and girls are worst off, lacking opportunities for work and leadership, and in considerable risk of gender-based violence. Swedish INGO We Effect is now teaming up with Sri Lankan NGOs, Rajarata Praja Kendraya (RPK) and Kaviya Self Development Women Centre (Kaviya), to address these issues. The four-year project will be implemented in Anuradhapura and Batticaloa. 2953 people in 26 villages will be provided with the tools to fight poverty and injustice, using a cooperative approach, benefiting around 11,000 people in the districts. Twelve fishing and agricultural cooperatives will play an integral part in the project. With an emphasis on gender equality, the members will be trained to become entrepreneurs and leaders, access marketplaces, get credit, improve farming skills, and improve their dialogue with local authorities and other service providers. “We hope that the cooperative members will be role models for others, showcasing that the best way to fight poverty is to allow women and men to have equal access to earning money and making decisions. Also, this is a good opportunity for meeting humanitarian needs of women, men and youth affected by war through Cooperative approach”, says Y Ajithkumar, Chief Executive Officer at Kayiya. “By strengthening cooperatives, marginalized women and men will get increased access to public services and resources such as services from local authorities (Pradeshiya Sabha) and government administrative units. This project will also provide an opportunity for women and girls to improve their leadership skills & confidence”, says Sheela Rathnayake, Chief Executive Officer at Rajarata Praja Kendraya. Read a story from one of the related projects here. We Effect is a global development aid organisation, founded by Swedish cooperative movements in 1958. We Effect started fighting poverty in Sri Lanka in 1978, using the cooperative development model We Effect work together with 200 local partners in 25 countries, reaching five million people. It is funded by Swedish government, major cooperatives, private donors and EU. “Kaviya” is a Sri Lankan NGO located in Batticaloa district and have over 15 years of experience in working with poor & war-affected communities. 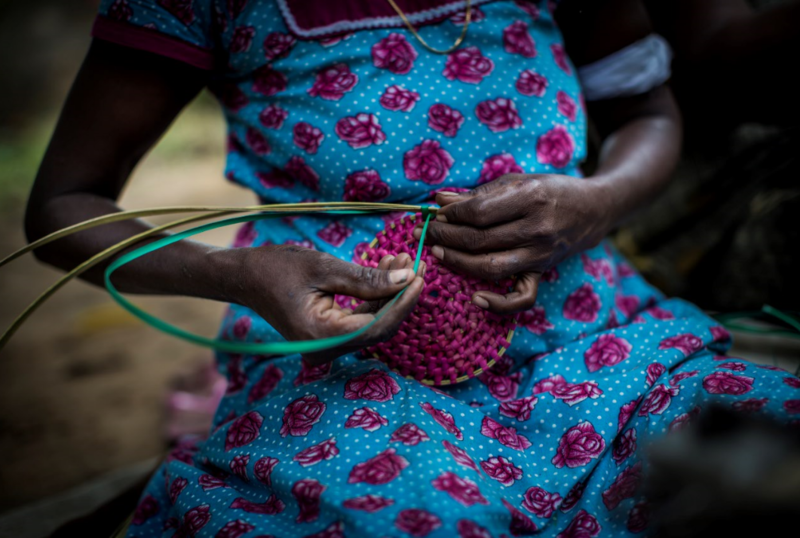 Kaviya works with women groups who affected by war and Tsunami, with particular attention to widows and women headed families, to build their self-confidence, self-motivation and leadership. Kaviya together with its 250 community groups and 44 producer groups, implement livelihood support programs, community empowerment programs, and micro finance support to improve social and economic status of targeted communities.